When you plan to have a true rustic wedding around Melbourne, The Bath Sorrento is always on top of the recommendation list from me, a Melbourne wedding photographer shoots more than 500 weddings in the past 7 years. The Bath Sorrento is definitely the unique and distinctive place to create your very first memory as husband and wife. 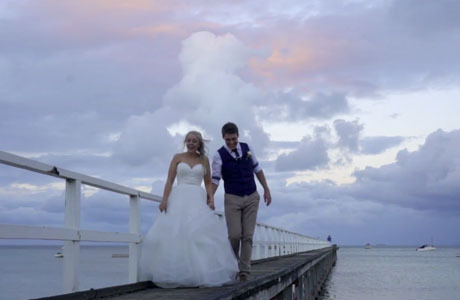 Set on Point Nepean Road and Sorrento Front Beach, the Bath Sorrento has a stunning ocean view of the Port Phillip Bay and this is why it is a popular choice to set up your wedding ceremony on the beach. You could even make a unique and spectacular arrival by Boat or seaplane. With the capacity to serve up to 180 people in a cocktail or 150 people in a formal sit down dinner, The Bath Sorrento offers a great range of food to pamper you and your guests. For wedding photography, the Bath Sorrento also provides versatile opportunities for your wedding photographer to make you truly shine. Heading to the Cafe in the Sorrento town after the ceremony and leaving some time before the sunset for your wedding photos is my suggestions to the couple. From a Melbourne wedding photographer’s view, the Bath Sorrento is a perfect location for your rustic and candid beach wedding. Your wedding photographer is able to create some candid, creamy light filtered or silhouette images and turn your wedding day into the most memorable day in your life. Should you have any questions to plan a wedding at the Bath Sorrento, please do not hesitate to contact us for the suggestions and information from a wedding photographer’s view.